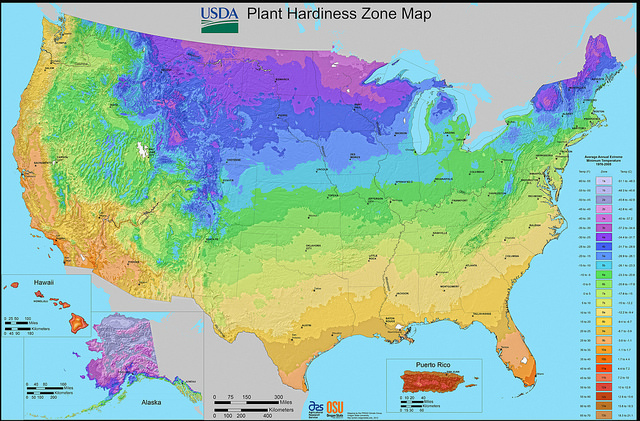 Plant Hardiness Zones: Why Are They Important? “How low can you go?” is not only a term used in limbo dancing! Understanding the winter low temperature extremes in your gardening location is one of the most important pieces of information you need when selecting plants or seeds from nurseries or plant catalogs and is crucial to the survival of your plants. The United States Department of Agriculture’s (USDA) Agricultural Research Service (ARS), in cooperation with the PRISM Climate Group at Oregon State University, has developed an interactive mapping system that divides the United States into plant hardiness zones. The most recent (2012) version of the map has 13 zones and includes all 50 states and Puerto Rico. The numbered zone designations in this map represent the average annual extreme minimum temperatures at given locations. The lower the zone number, the colder the zone. Each zone is a 10º F band that the USDA further divides into 5º F zones “a” and “b” based on an average of the single coldest temperature recorded each winter during the 30 years from 1976-2005. Note: the zones do not reflect the coldest it has ever been or ever will be at a specific location, but the average lowest winter temperature for the location over the specified time period. Why you should pay attention to plant hardiness zones. 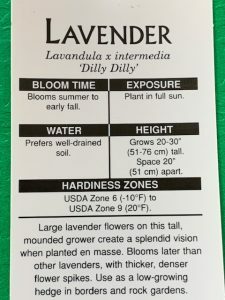 Most plant labels and seed packets for perennial plants will include the zone hardiness information. Make sure you check the zone before you make a purchase to ensure that you are not choosing plants that will not survive the cold! This is particularly important when choosing expensive trees and shrubs! 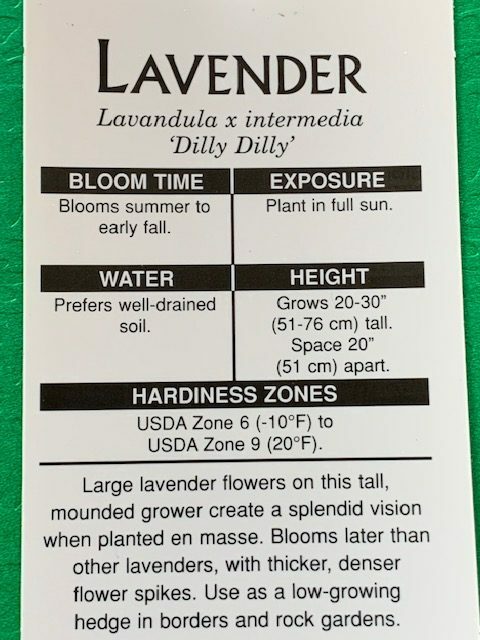 You may get lucky and have a prized plant live for a few years if we have mild winters, or longer if you have a favorable microclimate in your yard, but you’ll do better to make landscape choices from plants that thrive in your zone. North Carolina plant hardiness zones range from 5b to 8b. Zone 5: Minimum temperatures: Zone 5b -15 to -10º Examples of North Carolina locations in 5b: Mount Mitchell, Grandfather Mountain, Beech Mountain. Zone 6: Minimum temperatures: Zone 6a -10 to -5º F, Zone 6b -5 to 0º Examples of North Carolina cities in 6a: Boone, Linville, Hot Springs; 6b: Cherokee, Maggie Valley, Little Switzerland. Zone 7: Minimum temperatures: Zone 7a 0 to 5 F, Zone 7b 5 to 10º Examples of North Carolina cities: 7a: Asheville, Swannanoa, Lake Lure; 7b: Marion, Morganton, Charlotte. Zone 8: Minimum temperatures: Zone 8a 10 15 F, Zone 8b 15-20º Examples of North Carolina cities in 8a: Fayetteville, Greenville, Wilmington; 8b: Nags Head, Duck, Corolla. BUT Buncombe County includes areas from 5b to 7a! Enter your zip code, and then zoom in to find your own address. The color-coded zone map will tell you if you are 5b, 6a, 6b, or 7a and the lowest average winter temperatures you can expect. Article by Bob Wardwell, Extension Master GardenerSM Volunteer.